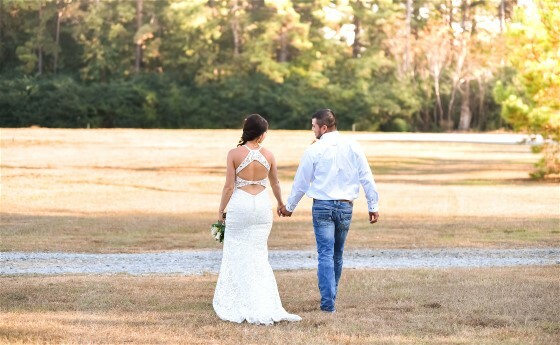 This beautiful dress was worn by Jessica Horton on October 20, 2017 when she married Rodrigo Aguayo at the beautiful Miss Mary’s Place in Longview, TX. Jessica purchased her dress at Circle Park Bridal in Addison, Texas. 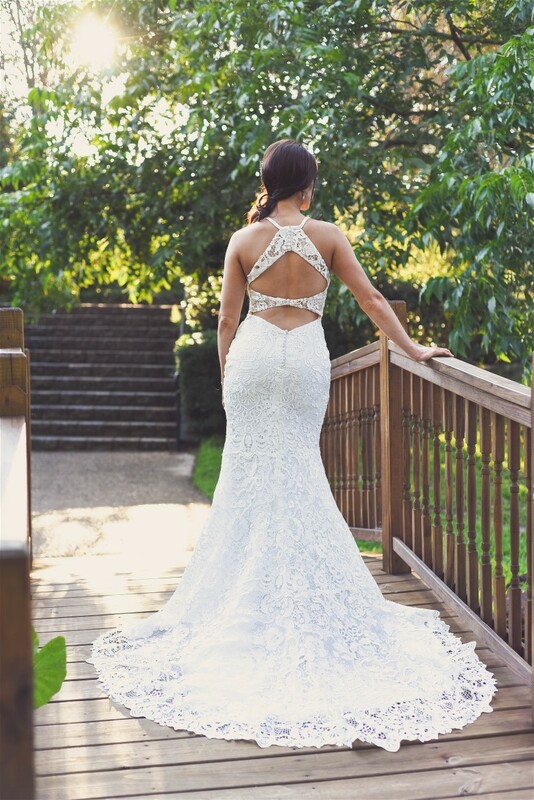 Circle park is a family owned bridal shop serving the Addison, Texas community since 2007. Jessica’s wedding dress is perfect to show off her lovely figure. After losing over 80 pounds over multiple years, Jessica wanted to find THE perfect dress! She had actually tried this dress on as her very first option at another bridal shop earlier that morning and fell in love (cliche, but true). 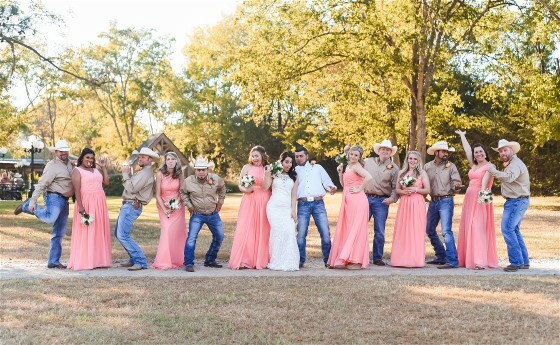 However, Jessica wanted to keep her options open and already had an appointment scheduled that afternoon at Circle Park Bridal. Thus, her mother and herself attended the appointment and her mother actually found the same dress!! 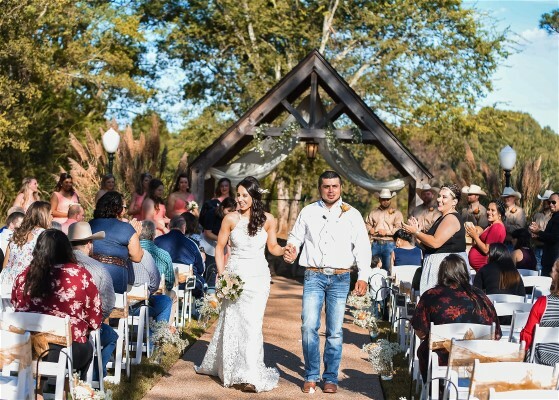 After some crazy wedding planning issues ( a tornado completely demolished their original venue 6 months before their wedding date), Jessica and Rodrigo were finally going to become husband and wife! Friends and family gathered for a beautiful outdoor ceremony in Mary Emma’s Garden, followed by an all night celebration in the Rustic Cedar Barn! Lots of food, drinks, dancing, and memories were had by all! 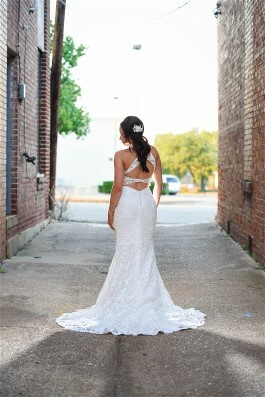 Jessica was the first at her bridal shop to try on this beautiful new Morilee design . Jessica really did have quite a wedding celebration and her wedding gown kept some souvenirs of the fun! 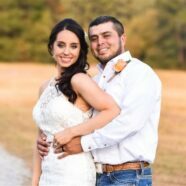 Her off white Morilee wedding dress with full lace overlay had a severely dirty hemline and bodice when we received it for wedding dress cleaning and museum quality wedding dress preservation. Fortunately there were no tears in her gown, however, because she had selected our Heritage Select™ package, minor repairs were included, so we could make repairs if discovered during treatment. 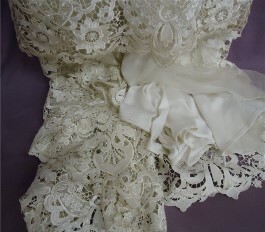 We gave Jessica’s wedding dress hemline a chemical pre-treatment and extensive wedding dress cleaning by hand. We were thrilled with the results! Her beautiful wedding dress looks perfect and ready for another bride to wear. Museum Method™ wedding dress preservation will help keep it perfect for her family to enjoy as a treasured heirloom for many years to come. Get a free quote for your wedding dress cleaning and museum quality wedding dress preservation. Jessica’s Morilee wedding dress as very dirty after outdoor wedding and celebration. 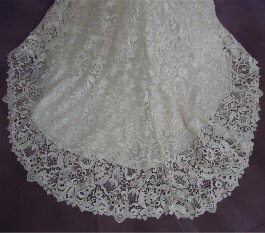 HGP’s expert wedding dress cleaning returned hemline to pristine condition.